A Little Honesty…and a Purex Giveaway! 3 Winners- Ends 7/17! About a month ago I washed a old favorite pair of skinny jeans. I had pulled it out of the wash folded it up and put it away. Three weeks later, I was headed out for some shopping – so naturally, I pulled out my old favorite pair of skinny jeans. But for some reason, the fit wasn’t right. No matter how many times I twisted myself in absurd yoga positions I couldn’t get my jeans to fit properly. However, this isn’t the first time that this has happened. Incidents like this seem to have followed me for a large portion of my life. Especially after birthdays, and holiday seasons. The honest-to-goodness truth about my shrinking jeans mystery (a mystery Nancy Drew sure never had to solve) is that…there are crazy little jean shrinking trolls living in my washer! See that wasn’t so hard! 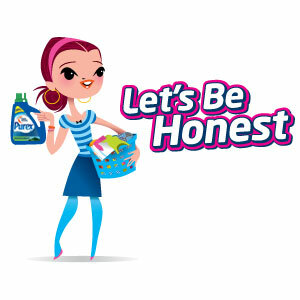 Join me in my bouts with a little honesty and enter to win a bottle of Purex detergent! This video is my favorite- obviously she has the same skinny jean shrinking trolls in her washer as well! Enter to win 1 of 3 Coupons for FREE Purex Detergent! leave a comment telling me which one is your favorite! 1) Like, share, or retweet your favorite video. Come back and leave a comment with the URL of the post. 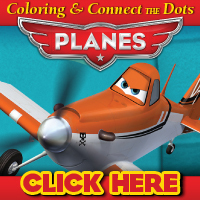 2) Follow Purex on twitter, facebook, and/or pinterest – leave one comment each please! 3) Follow The NYC Talon via email, twitter, facebook, or pinterest – also, leave one comment each! 4) Leave a comment with your own “Let’s Be Honest” tale! *Giveaway is open to US only. It begins on 7/9/12 and ends on 7/17/12. Three winners will be selected. This giveaway is made possible through Purex. I may have received coupons in compensation for this post. I like the Yoga video. I follow Purex on twitter @hewella1. I like the soda one. I follow Purex on Facebook. I like the mystery stain. Soda is my favorite of their videos! My “Let’s Be Hpnest Tale ” : When was the last time you cleaned under and around your washer and dryer? Bet – like me – it’s been awhile! i liked fresh towels video, because im always sniffing my towels to see how they smell clean. I like the soda video! Thanks for the chance to win! I liked the Soda one the best. i like the skinny jeans one. My favorite is Mystery Stain Honest Moment #14. I follow Purex on twitter. I follow Purex on pinterest. I’m following Purex on pinterest. I like the Yoga one best. My favorite is static cling. I like the soda video best. I follow NYC Talon on Pinterest. I love Lost and Found! I subscribe to your emails and follow on pininterest….nordiccombined I tHINK! Lost and Found made me laugh. I watched on youtube the dinner time and that is my house,lol. Deep Clean is my favorite. Gave me the giggles. I follow Purex on Facebook as June Lisle. I Like The NYC Talon on Facebook as June Lisle. I like the Deep Clean video! The Mystery Stain is my favorite. I follow Purex on twitter @mrspoofa. I Follow The NYC Talon on twitter @mrspoofa. I like the Lost & Found video because heck… I want to keep any money I find in the wash! My favorite video is the “Mystery Stain” video. I followed Purex on Facebook. I followed Purex on Pinterest. I followed Purex on Twitter (CoreyOlomon). I followed you on Twitter (CoreyOlomon). I “liked’ Mystery Stain via FB. I followed Purex via Twitter. I followed Purex via FB. I follow Purex via Pinterest. Let’s be Honest: Just because I eat fattening foods in the car and finish them before I get home, and throw the evidence away…no one saw me eat it, so I didn’t eat it, right? the deep clean one is my favorite! Book Club is my fave,,,too funny! The Lost and Found is my favorite! Lost and Found is my favorite. I like lost and found. My favorite is Lost & Found. I like Purex on Facebook (Andrea Hamilton). I follow Purex on Pinterest (Andrea Hamilton). I follow you on Pinterest (Andrea Hamilton – davandi). I like the current events one! The Dinner Time video is hysterical! I liked my favorite video… the Soda video! I also tweeted it. Lost and Found one is good. I am following you on Pinterest as Crimson Miller. My “let’s be honest tale” is that I tend to forget about the clothes in the washer after they have been washed, then have to wash them again, and sometimes forget about them all over again! It’s terrible!